product application: dry fruits, whole spices, tea, soya nuggets, pasta, macaroni, dry fish (bombay duck & prawn) & other granules. filling range: 100gm to 1000gm. We manufacture wide assortment of Semi Pneumatic Three Side Seal Machines that is made using the best grade raw material and advanced methods of production. Our products have enormous demand all across the world for their excellent features like high tensile strength and corrosion resistance. 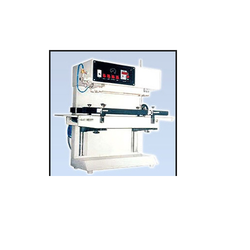 Owing to our expertise in this domain, our company is occupied in offering Four Side Sealer. 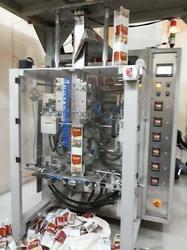 They provide superlative Pouch Sealing Machine, which is highly valued by their honored clients. It performs the task at a brisk pace and in addition to it you can even adjust the sealing speed. They offer pouch sealing machines at pocket friendly prices. To seal any type of pouches like L.D., H.D., P.P. Laminated, Bopp etc. 4.5 mtr/min to 20 mtr/min.